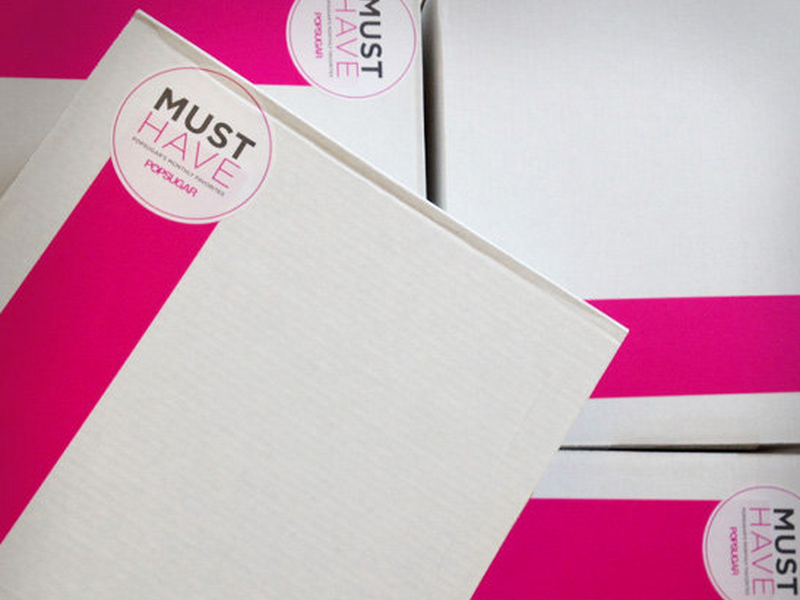 POPSUGAR Must Have Box (May 2014) ~ Learn, Live, and Explore! It's that time again to open my monthly POPSUGAR box. This month's selection wasn't a "wow," but it certainly wasn't bad. The theme was prepping for summer, so the items were geared towards fun, sun, beaches, getaways, etc. For any vacation, you may want something to help you get your "zzz"s during the longer days, something to bring some pizzazz to your hands and feet, and something that reminds you of the smells of the tropics. The Kerry Cassill eye mask is made of soft cotton to help you with your nap needs (suggested retail: $24). Obsessive Compulsive nail polish in the color Pool Boy will push you out of your pedicure color comfort zone (suggested retail: $10). Finally, the bottle of Smell Bent St. Tropez scent brings the tropics anywhere you are with jasmine and coconut (suggested retail: $45). If course, summertime also means more outside time, and possibly even beach time. So, this box had three "healthy you" choices as well. First, the Zing Anything Citrus Zinger water flavor infuser bottle will help you join the craze for flavored water and stay hydrated (suggested retail: $17). I do like lemon and orange flavored water! 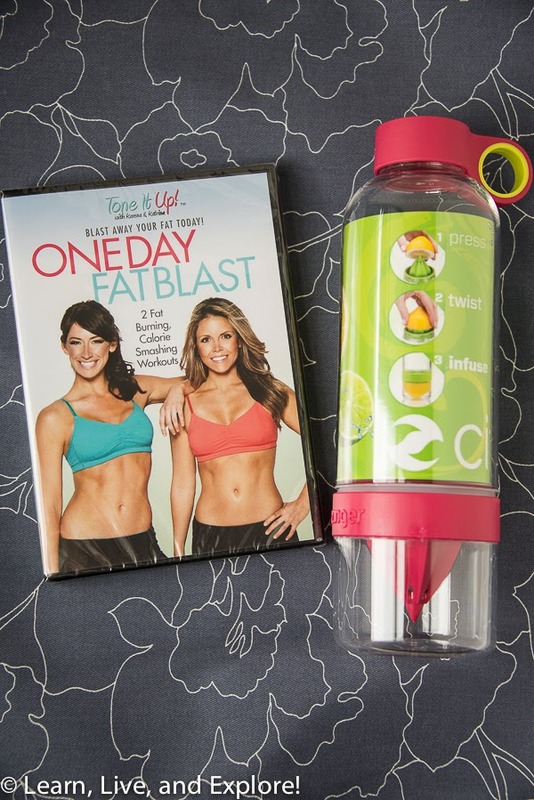 Next, from the Bravo TV show, Toned Up, the two fitness instructors created a two workout DVD to help you tone up for swimsuit season (suggested retail: $15). 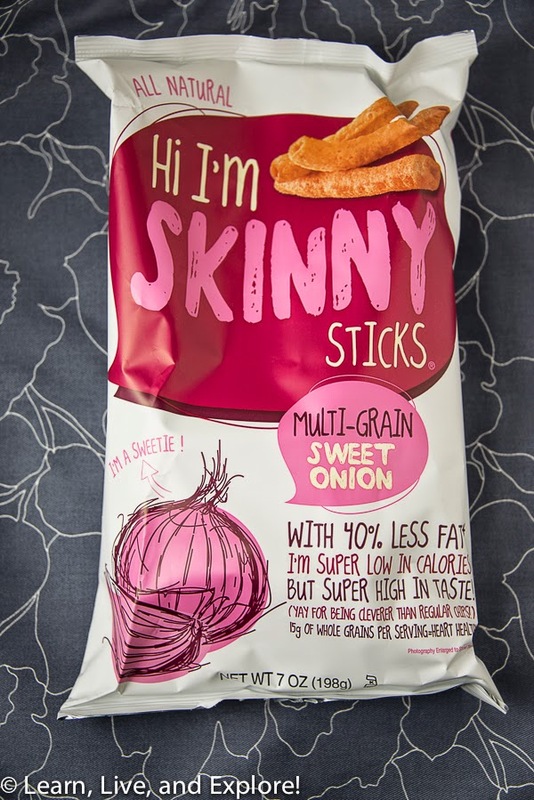 Last, the food goodie of the month is Hi I'm Skinny Sticks in multi-grain sweet onion flavor (suggested retail: $4). Total value of the box is $115, but take out the perfume (I always find perfumes to be overpriced, and I'm too obsessed with my Penhaligon's Elizabethan Rose scent to wear anything else) and I still got double the value. I'm really liking this box subscription, in addition to my monthly Whimseybox. I actually ended up canceling my Escape Monthly subscription and my Birchbox subscription because the selection of items was just not worth it to me.